Sky Arts and English National Opera have teamed up for a unique collaboration with leading figures from the visual arts to produce a set of three short films. Werner Herzog, Sam Taylor-Wood and Dougal Wilson’s short-films each accompany a popular aria from ENO’s 2008/09 Sky Arts Season, ready to be broadcast on Sky Arts throughout February. Herzog’s “O Soave Fanciulla” (Oh you vision of beauty) from La Bohème, is set in Africa. Sam Taylor-Wood covers “Vesti la Giubba” (On with the Greasepaint) from Pagliacci. 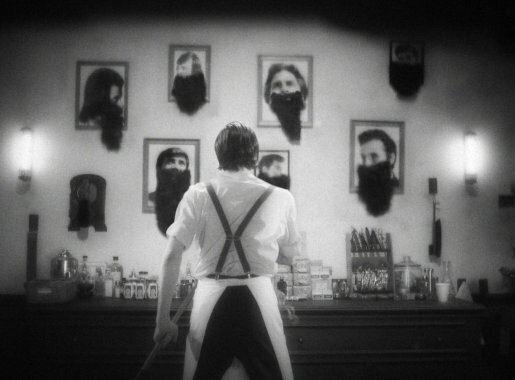 Dougal Wilson, whose music video for Coldplay’s Life in Technicolour came out recently, provided a humorous take on “Largo al Factotum” (Here at your service to do or die) from The Barber Of Seville. The varied body of work was produced to celebrate six years of Sky Arts’ season sponsorship of ENO and both organisations’ commitment to widening the appeal of opera. Set to recordings by ENO Orchestra conducted by ENO Music Director Edward Gardner, they feature singers Peter Auty, Geraint Dodd, Mary Plazas and Mark Stone. The films will be shown in an exclusive documentary, Opera Shorts: Behind The Scenes, on Sky Arts. Featuring interviews with all three directors, and their films in full, the programme will reveal the story behind this innovative project. “Our partnership with the ENO has seen some truly remarkable productions and initiatives come to life,” comments James Hunt, acting channel manager of Sky Arts. “Opera Shorts is another great example of this – and we hope that by combining the contemporary relevance of these brilliant directors, the cutting-edge technology of our High Definition services and the heritage and skill of ENO, we can broaden the appeal of this art form even more.